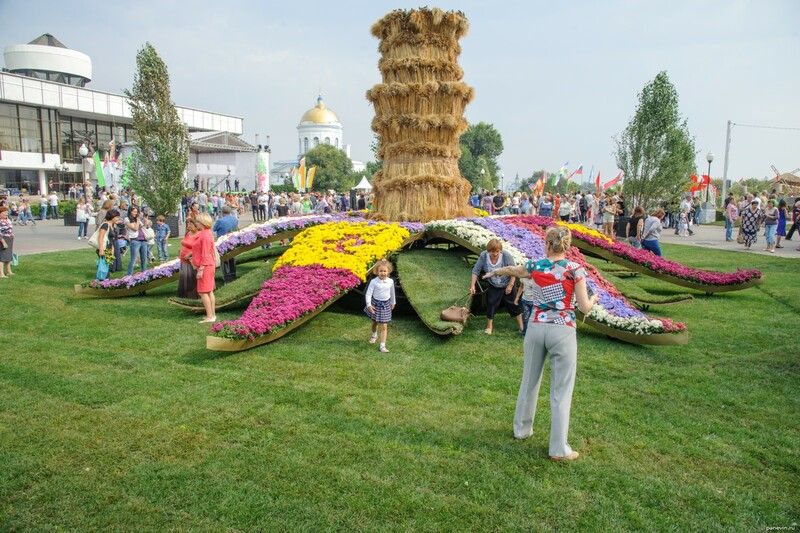 Huge flower — flowers and hay enjoyed big popularity. Protection constantly drove mad aunts who tried to get on petals. Blog, posts flowers, garden city, holidays, people, Voronezh.